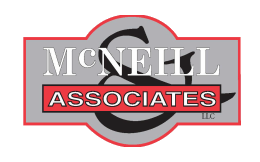 From development to closing and post-closing, McNeill & Associates, LLC in Avon, Connecticut, is here for all your real estate law needs. We handle residential and commercial transactions. When you're looking to purchase a home, commercial estate, or nonprofit organization, such as a church, we're here for you every step of the way. We can also assist you with any issues that come up from leases and rental properties. Our team has extensive legal and business experience, which is very beneficial in the real estate industry. The price of our service depends on the item at hand. Commercial properties have some complications, while residential homes are typically simple. To meet with you and evaluate your needs and requirements, we schedule a free consultation at a time that is convenient for you. Then, we will be able to give you an appropriate cost, whether hourly or for a transaction fee. Our firm handles real estate purchases and we represent clients in business transactions, such as real estate sales or contract preparation and review. We take pride in spotting issues, addressing concerns, and developing resolutions to meet your needs. When you choose our firm, our owner represents you personally, as opposed to someone who may not have experience. We have a network of consultants that we can bring in to help accomplish your goals and objectives.